Data sheet for entering date. Score (half and full time). This is followed by plenty of space to name teams and make entries and notes. This book will prove invaluable when looking back on fixtures to revert to match notes for future fixtures. Full size pitch and notes section. 3 pages each comprising of 3 penalty box area's for noting of set play patterns and room for notes. 3 fully lined blank pages for adding notes. For years scouts have sat in the stands with ordinary A4 pads and have been asking for a slim version that easily fits inside there jacket pockets. Already proving to be a success at all levels of the game. Ideal for purpose, especially when doing a full team analysis. 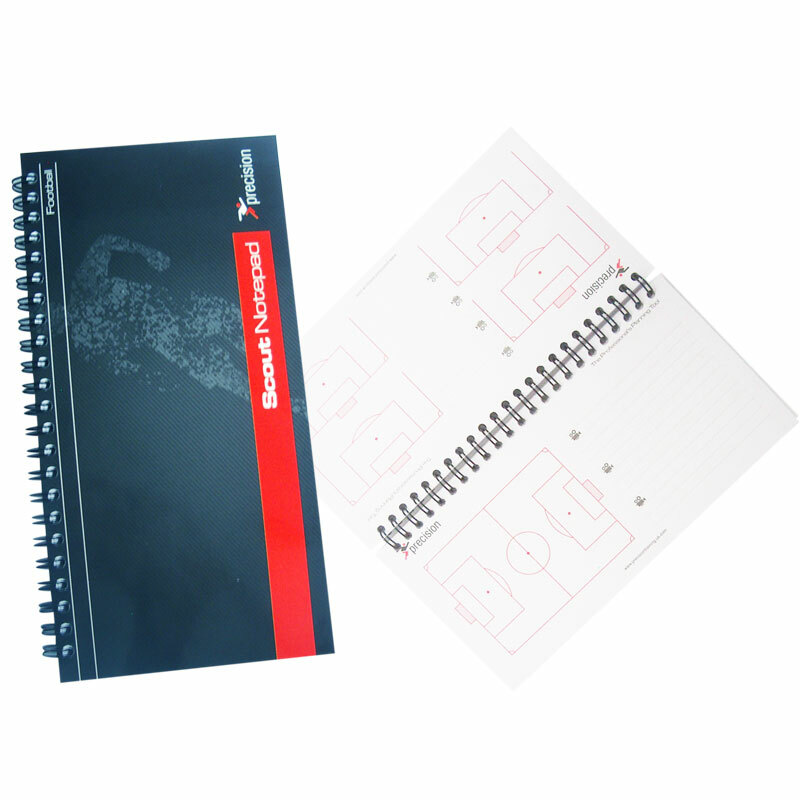 Easy to handle with all information easily accessible plus fits into pocket.